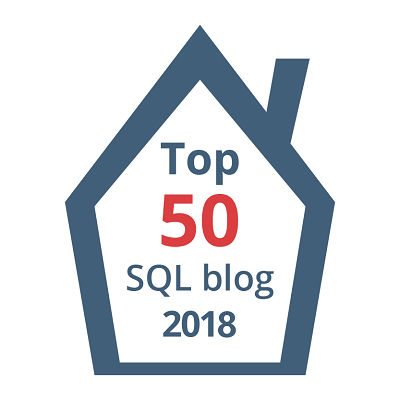 This post is part of the series discussing the new Analytic functions in SQL Server “Denali”, CTP3. All of the new Analytic functions require the use of the OVER clause. To see what changes to the OVER clause that “Denali” brings, please view my article The OVER Clause enhancements in SQL Server code named “Denali”, CTP3 on SQLServerCentral.com. The first thing that you immediately notice (well, at least the first thing that I immediately noticed) is the WITHIN GROUP clause. This clause specifies a list of numeric values to sort and compute the percentile over. Note that only one order_by_expression is allowed. When using the PERCENTILE_CONT function, it must evaluate to one of the exact or approximate numeric data types. Within the OVER clause, the PARTITION BY is optional, and the ORDER BY and ROW|RANGE clauses are not supported. The numeric_literal is the percentile to compute, and it must be within the range of 0.0 to 1.0. For both functions, NULL values are ignored. Okay, let’s make an employee table, with employees assigned to a department and what each employee’s salary is. We’ll return each employee, along with the median salary in the department and the median salary in the entire table. The medians will be calculated by using both functions, and we’ll pass in a percentile of 0.5 (50%). For good measure, I’m going to include the AVG and CUME_DIST values also. The PctC# columns utilize the PERCENTILE_CONT function, and the PctD# columns utilize the PERCENTILE_DISC function. The columns ending with “1” are partitioned by the Department, and the columns ending in “2” are across the entire table. Okay, so now I can see that for Department 2, that it is getting the Salary values for the two middle rows (35,000 and 100,000), adding them together and then dividing by 2, resulting in 67,500. I don’t know if I’ll ever use these functions, but at least now I understand what they do. If you have a real-world use for these, please post a comment explaining it. This concludes this series on the new Analytic Functions presented by SQL Server “Denali”.